Atlantean Chants. 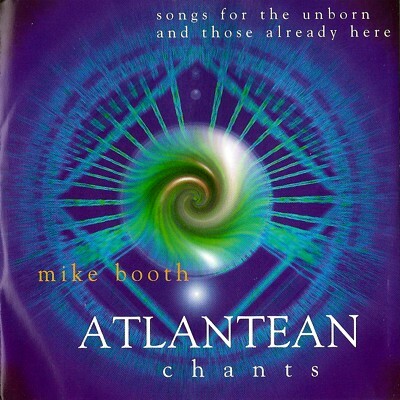 Continuing his long association with Aura-Soma, James Asher’s latest production is of Mike Booth’s Atlantean Chants. James’ music from The Great Wheel was used by Aura-Soma’s founder Vicky Wall for her meditations. Music from Dance of the Light was used to accompany many of Mike Booth’s meditations including Peace to All Beings – with versions in English, French, German, Spanish, Italian, and Japanese. Now comes Mike’s innovative and fresh Atlantean Chants – with keyboards, arrangements, production and recording by James Asher. Customer Review – “James Asher has made a career of not only recording his own original “space music” and world fusion classics, but also producing and arranging music for meditation CDs. Here he teams with meditation teacher Mike Booth for a collection of deeply intuitive chants that seem to cut right through to the subconscious.”. Background : In Aura-Soma we view both the symbolic and possible historical aspects of Atlantis with equal importance. Vicky Wall, the founder of Aura-Soma, linked the energies of the heart with the understanding of Atlantis. At this point in time these rhythmic chants are released in the hope they may bring more light to the heart and a deep remembering. When we look back into human history it is possible to trace the work with the colour and light through time to Ancient Greece, the Essene communities in the Holy Land and also to the temples of Ancient Egypt. Many believe that there was a time in pre-history when colour was used in the culture of Atlantis not only for healing, but also to aid in the developing of consciousness. Those who have been working with Aura-Soma during the last seventeen years have reported a connection between their work with Aura-Soma and this ancient civilisation of Atlantis. As events have unfolded within my personal process I have become aware of threads of information and energy that run deep into the past, beyond what we, in contemporary belief, consider to be history. There have been many images that have arisen from this deep and ancient past. Something within the quality of these chants brings a resonance with those ancient times. Credits : All compositions by Mike Booth and James Asher. Produced by James Asher. Vocals, chants: Mike Booth. Guest vocals on track 1: Claudia Booth. Keyboards, drums, Soundscape: James Asher. Cover painting : Ivoi – Bad Kreuznach / www.ivoi.de. Recorded at Starfield Studios, London, 2001 on two Soundscape Red Hard disk recorders. Copyright by Aquamarin Verlag, Voglherd 1, 85567 Grafing, Germany [6284/084].